A group of scientists from across the globe have revealed the stunning details of a submarine canyon on the edge of the country's continental shelf, after mapping an area twice the size of Malta. The expedition, led by Dr. Aaron Lim of UCC's School of Biological, Earth and Environmental Sciences (BEES), utilises the Marine Institute's Holland 1 Remotely Operated Vehicle (ROV) and state-of-the-art mapping technologies to reveal the nature of the canyon. 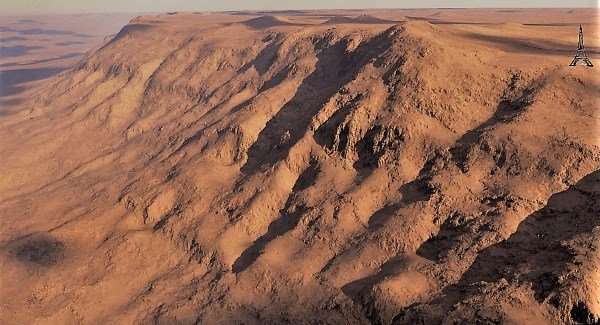 "This is a vast submarine canyon system, with near-vertical 700m cliff in places and going as deep as 3000m. You could stack 10 Eiffel towers on top of each other in there," said Dr. Lim (BEES-UCC), "So far from land this canyon is a natural laboratory from which we feel the pulse of the changing Atlantic." According to Dr. Lim, this discovery coupled with recent findings on the Irish-Atlantic margin shows the advances in both Ireland's marine technology and scientific workforce. "Ireland is world-class, and for a small country we punch above our weight." This is all about transporting carbon stored cold water corals into the deep. 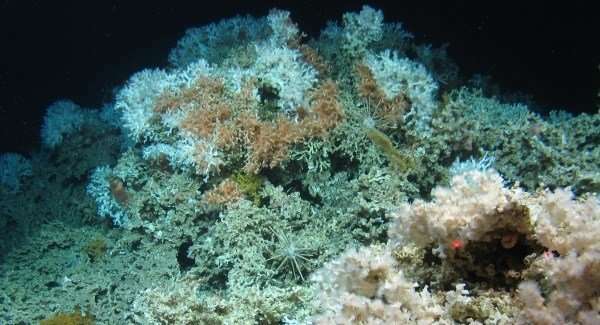 The corals get their carbon from dead plankton raining down from the ocean surface so ultimately from our atmosphere," said Professor Andy Wheeler, School of BEES, UCC, and the Irish Centre for Research in Applied Geosciences (iCRAG). "Increasing CO2 concentrations in our atmosphere are causing our extreme weather; oceans absorb this CO2 and canyons are a rapid route for pumping it into the deep ocean where it is safely stored away." "We took cores with the ROV, and the sediments reveal that although the canyon is quiet now, periodically it is a violent place where the seabed gets ripped up and eroded," added Professor Wheeler. The new mapping data shows a rim feature along the lip of the canyon at approximately 600m water depth. 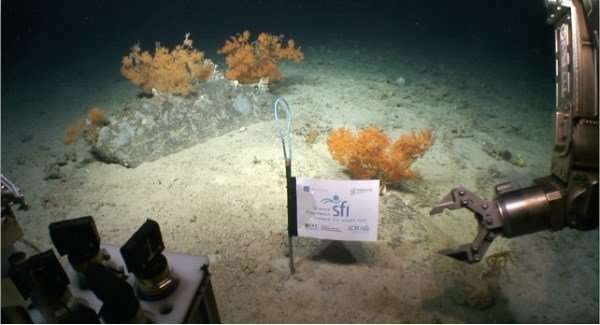 "When we sent down the ROV, we saw that this rim is made of a profusion of cold water corals, which appears to extend for miles along the edge of the canyon," said Professor Luis Conti, University of Sao Paulo.